The spelling of the name DIGBY varies through time and records. Digbie de Tilton dates back to antiquity. 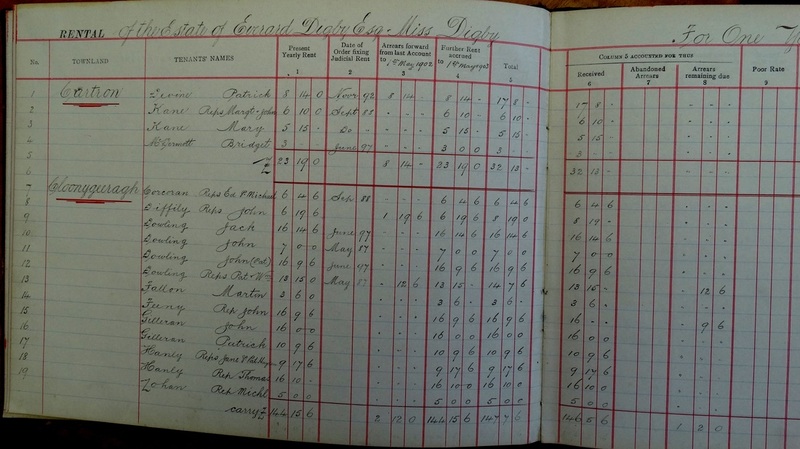 The spelling of other surnames also differs in records as do some first names, according to how and when they were written down. Dates also vary, especially with early records, so I have used the symbol c., circa, to denote and approximate date. The term sans issue means they did not have children. 2. WILLIAM DE DIGBY Esquire b.c. 1188 m. Barbara DALBY. He had two sons, Walter who married Merris Flower and was sans issue, and Robert. 5. SIR JOHN DIGBY, Knight 1252 - 1267, m. Lady Arabell HARCOURTE of Harcourt, Leicester, b. 1254, daughter of Sir William de Harcourt and Alice La Zouche. 6. JOHN DE DIGBY, Knight b.1275 m. Jone WAKE, daughter of Sir Hugh Wake. 7. ROBERT DIGBY Esquire m. Katherin PATEMAN, daughter of Simon Pateman of Kirby, Wigton. Robert Digby was given the lands in Billesdon by Richard II. 8. SIMON DIGBY Esquire, 1380 -1422 Tilton m. Jone BELLARS, daughter of Sir James Bellars and Margaret, daughter of Nicholas Barnack. 9. SIR EVERARD DIGBIE, Knight of Coleshill, 1422 - 1461, m. Agnes CLARKE 1410 - 1480, widow of Richard Seddala. Sir Everard was slain with five of his brethren in Yorkshire in the reign of Henry VI at the Battle of Towton, fighting for the Lancastrians (Red Roses) on March 29th, 1461. He had seven sons - Everard, Simon, John, Libeus, Rouland, Thomas and Benjamin. 10. 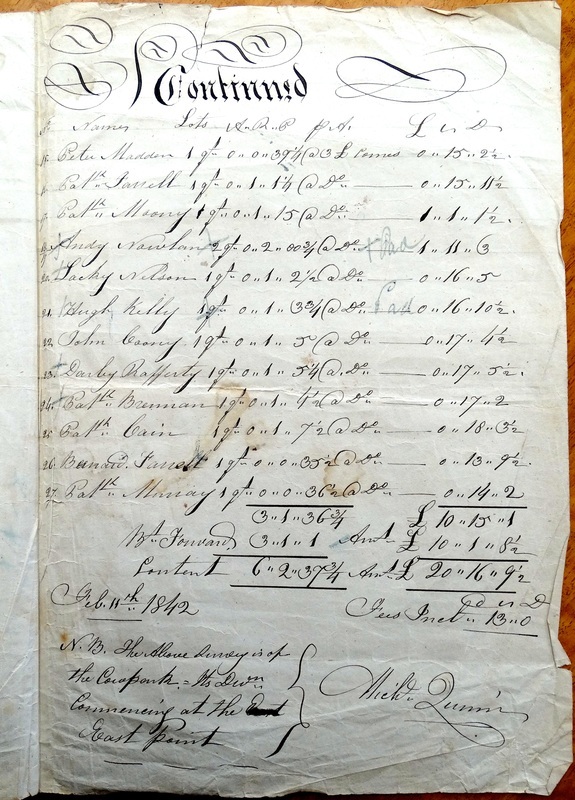 ROULANDE DIGBIE, of Ogilbie and Welbie, Leicester,b. 1450, fifth son of Sir Everard; m. Agnes/Anne ASHBY, widow of John Sheldon and daughter of Robert Ashby of OgilbIe and his wife Agnes, daughter of Henry Uvedale, Lord of Wetringe. They had five daughters - Joyce,Anne, and three others, and one son, John . 11. JOHN DIGBY m. Jane RAMSAY, third daughter of Thomas Ramsay of Hitcham, Berkshire. They had nine sons, Rowland, William, John, Humphrey, Thomas, Henry, Kellam, Everard and George, and five daughters - Marie, Ann, Elenor, Margaret and Dorothie. 12. GEORGE DIGBIE, ninth and youngest son of John m. Anne BOTTELAR, widow of Peter Morris of London Bridge; Daughter of John BOTTLER of Ogiblie and his wife, Agnes - daughter of Henry SHARMBROOKE of Bedfordshire. They had three daughters - Ursula b. 1.7.1593, Anne b. 23.1.1594, Fullam and Jane b. 28.10.1598 Fullam and three sons - Francis b. 30.4.1591, George b. 15.9.1596 Fullam and William b. 22.8.1601 Barnes, Surry. 13. GEORGE DIGBY 15.9.1596 - 23.9.1642; m. Anne (Hilary) HAVERCAMPE, widow of Robert Hilary, daughter of Sir Owen BUTLER of Sharmbrooke and his wife Agnes Sharmbrooke; He was known as George Digby of Lofts Essex and Barnes Surrey. They had three sons - George, Captain in King Charles' 2nd Guards, Thomas and James who died in Scotland. 14. THOMAS DIGBY m. Dorothy ASTWOOD of Astwood Hall, daughter of Robert Astwood. Went to Ireland 1641. They had two sons - George and Edward. 15. GEORGE DIGBY m. Elizabeth LLOYD, daughter of Cap't Owen Lloyd of Croghan and Elizabeth FITZGERALD. They had three sons -Richard, Simon and Thomas, and one daughter -Elizabeth. 16. 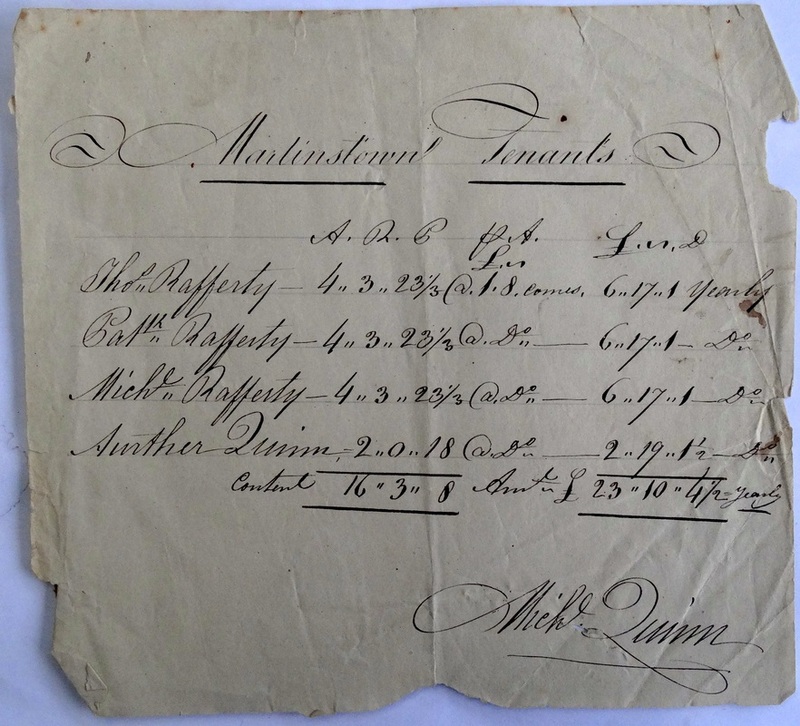 THOMAS DIGBY of Drumdaff, County Roscommon by release of land 1763; b. 1703; m. Mary LLOYD, daughter of Owen Lloyd of Roscommon and Susanna YEADON. They had five sons - George, John, Thomas, Owen and Edward and one daughter -Dorothea. 17. GEORGE DIGBY, merchant of Mt. Pleasant, County Dublin and Roscommon; m. Sarah HOWE, 1770, Dublin, daughter of Phillip Howe of Dublin. They had many children, including Thomas George, William, Martha, Mary and Sarah. 18. THOMAS GEORGE DIGBY baptised St George, Dublin 8.5.1814 m. his cousin, Mary LLOYD, daughter of Rev. Thomas Lloyd of Boyle and Dorothea Digby. They had two sons, George and William Arthur, and one daughter, Dorothea. 19. GEORGE DIGBY of Drumdaff; m. Catherine HAWKES, daughter of Charles Hawkes of Brierfiled, Roscommon. They had three sons Thomas b.d., 1850, Everard 1854 - 1922 and George 1856 - 1894 and two daughters, Caroline 1851 - 1897 and Mary 1852 - 1914. 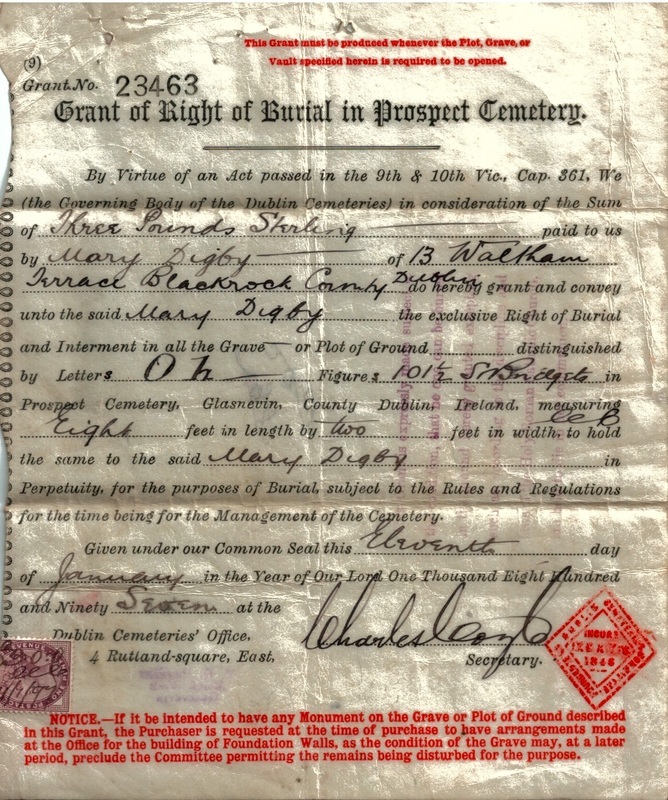 Their father died in June 1856 and their mother on June 6th 1892. 20. 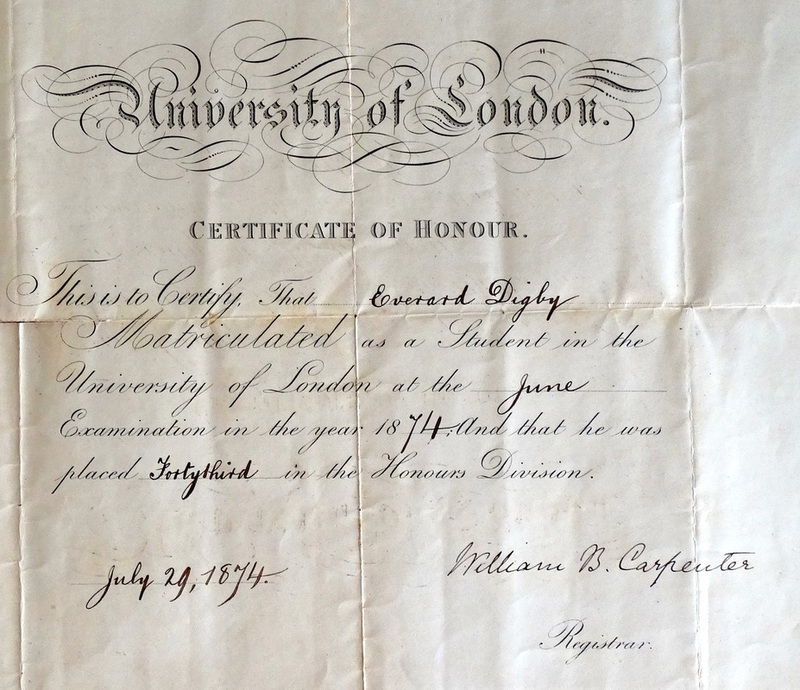 EVERARD DIGBY 1854 - 1922. Left Ireland in 1881 for Australia. m. 10.12.1890, Neutral Bay, Sydney, Edith Veysey MACKNIGHT, daughter of Alexander Macknight and Mary MORAN of Liverpool and Sydney. They had two sons, John Lloyd b. 1892 and Gerald. 21. GERALD DIGBY 21.12.1894 - 1968 m. Frances McKEE, daughter of Charles McKee and Annie Edith HOSKING. They had two daughters, Edith and Eleanor, and two sons, Gerald and Michael. 22. In the following generation came seventeen children. Part of the education at there Jesuit Stoneyhurst College, were religious retreats. This Order of the Day is for October 3rd, 4th & 5th, 1872 and includes meditation, walking out, singing, spiritual reading, benediction, chapel and confession. 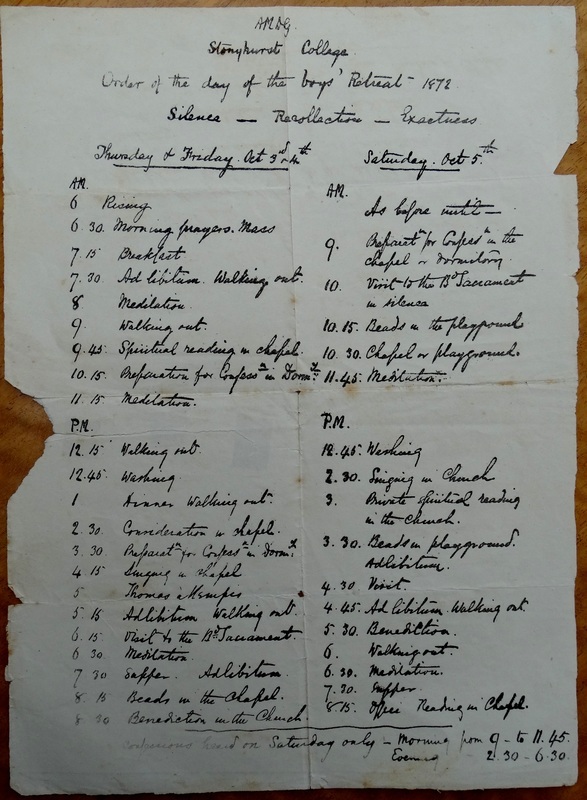 When in London in 1915 Everard attended a Dickens Fellowship Annual Conference. 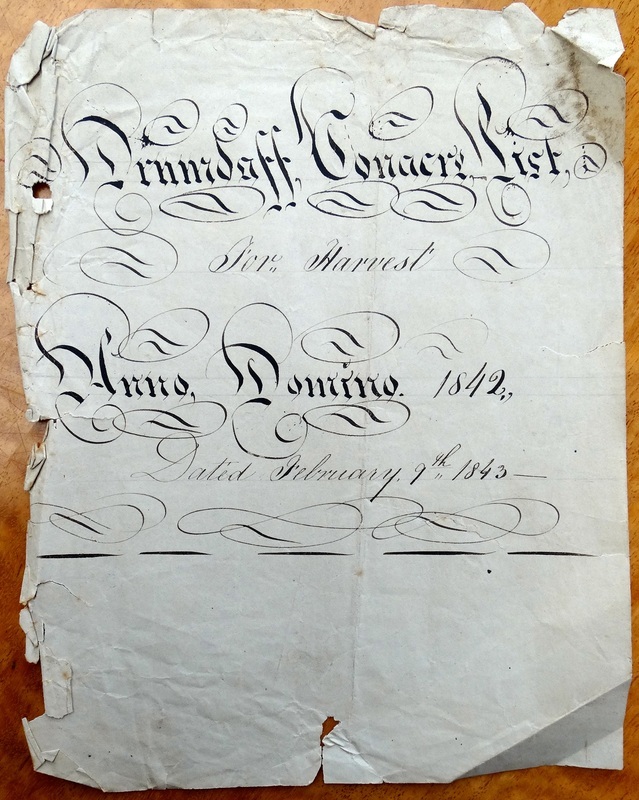 On the back of the program are autographs of attendees including, at the very top, that of Charles Dickens' daughter, Mrs. Kate Perugini. 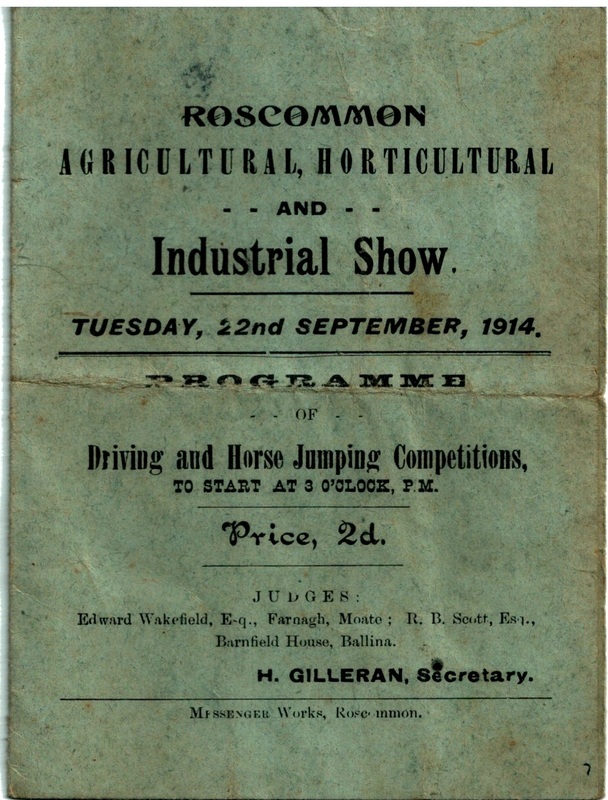 This program from the 1914 Roscommon Agricultural, Horticultural and Industrial Show shows that Everad was in Roscommon at that time, visiting his old home and catching up with the few people who remained there from his former life which he left twenty-three years ago. 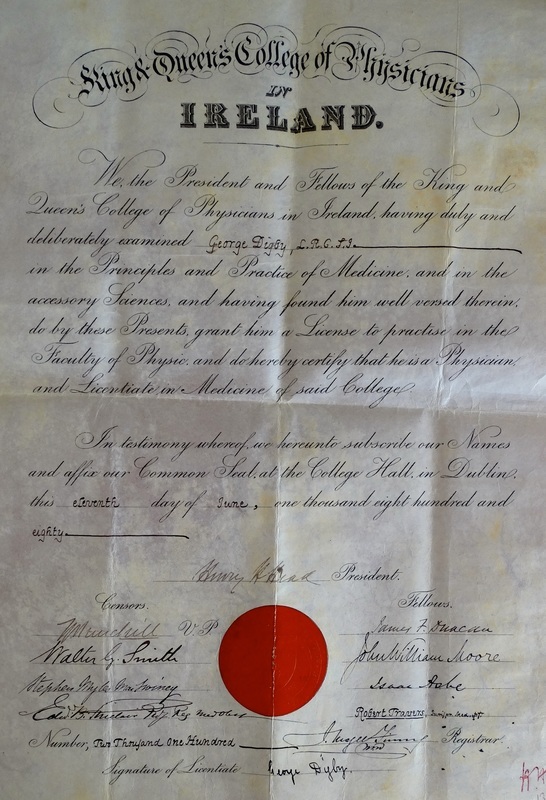 George Digby's licence as a Surgeon, awarded December 18th, 1879.